OK, first I have a question for anyone who lives in or around Narbonne. Does the wind ever stop frigging blowing there?? Don’t worry, I actually know the answer already, since I saw no less that 4 wind farms on my 55 km ride today. Yeah, it’s a pretty windy place, but it’s also very pretty, period. 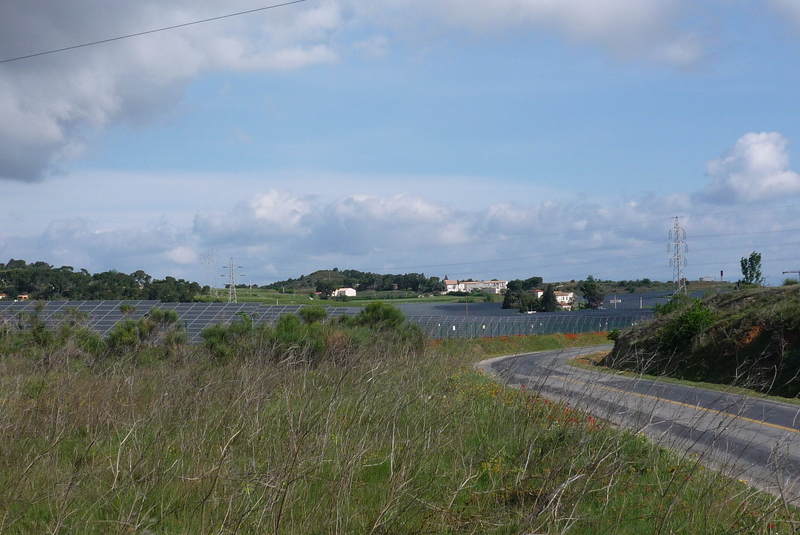 But before we get to that, I had to ride through the uninspiring northern suburbs of the city, then an industrial park, which at least had something interesting in it – this giant field of solar panels. I tried to get a high vantage point but this was about as good as I could do. The rows of panels stretch nearly to end of the photo. 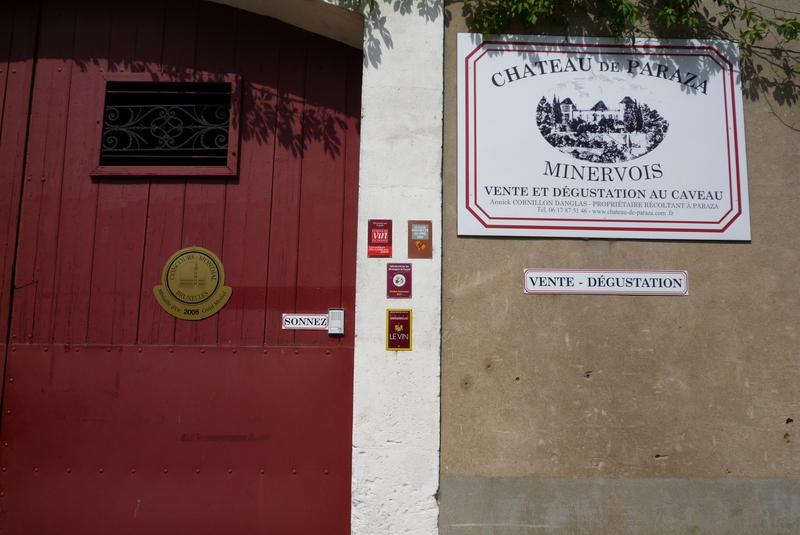 I’m sure it’s pretty small in comparison to the really serious ones, but I was impressed, and happy to see the land in Languedoc can be used for more than vines. Shortly after this I went through the mostly-normal village of Moussan, at least till I got to the outskirts of town. Outside of the village I hit the wind full on, but also the openness of this area. I suppose the two go hand in hand. I met a French guy on my ride from Adelaide to Darwin that had totally lost the plot after a few weeks of riding the Stuart Hwy the ‘wrong way’. He just couldn’t understand why the wind kept blowing the same direction every single day he got up to ride. But I am digressing. 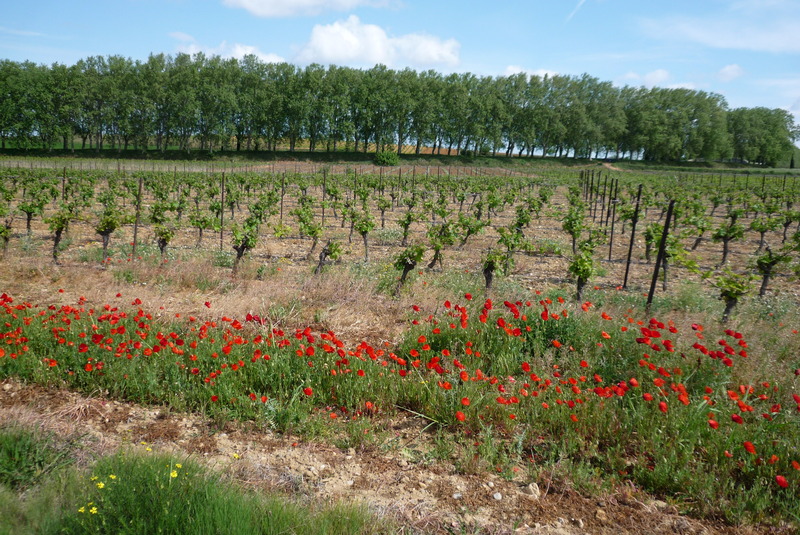 Here’s the flatness north of Narbonne. Notice the wheat (I think) on the right – something you would never see around my neck of the woods. Nice for a change. 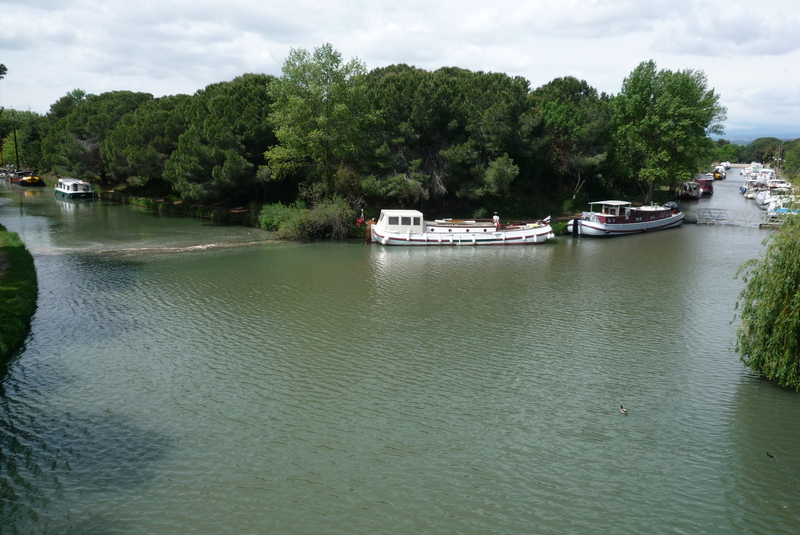 And while I was taking this shot I saw that line of trees in the distance and realized what I had forgotten from researching this area before – the Canal du Midi runs through it. Here it is closer up, with some lovely wild poppies to add color. 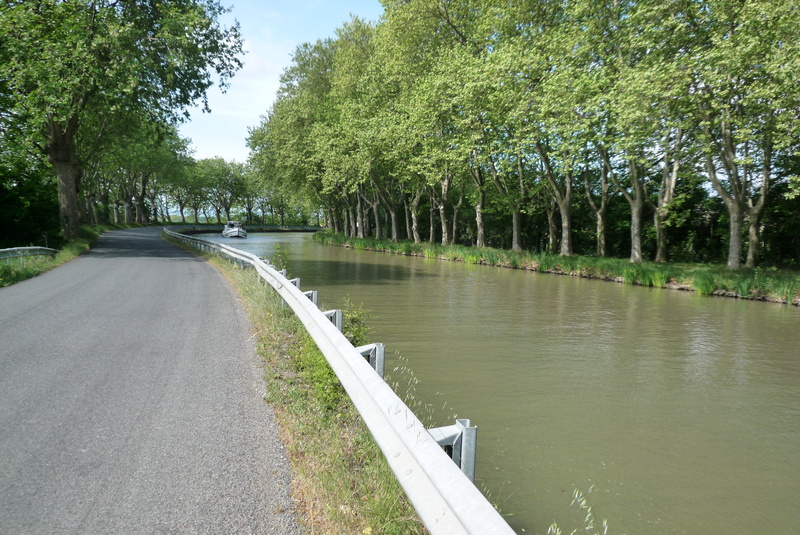 The road ran right up to, and along, the canal for a while. Here is what I saw. 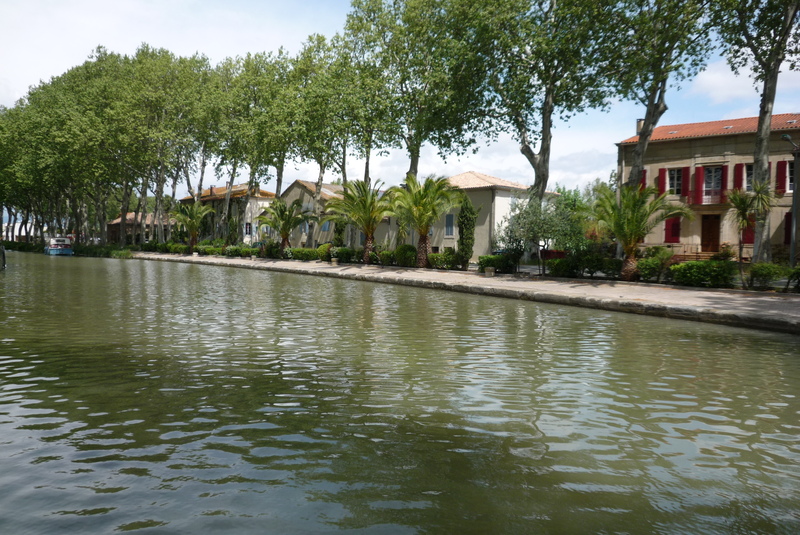 The Canal du Midi, by the way, is not only a World Heritage sight (can something 240 km long be a ‘sight’? 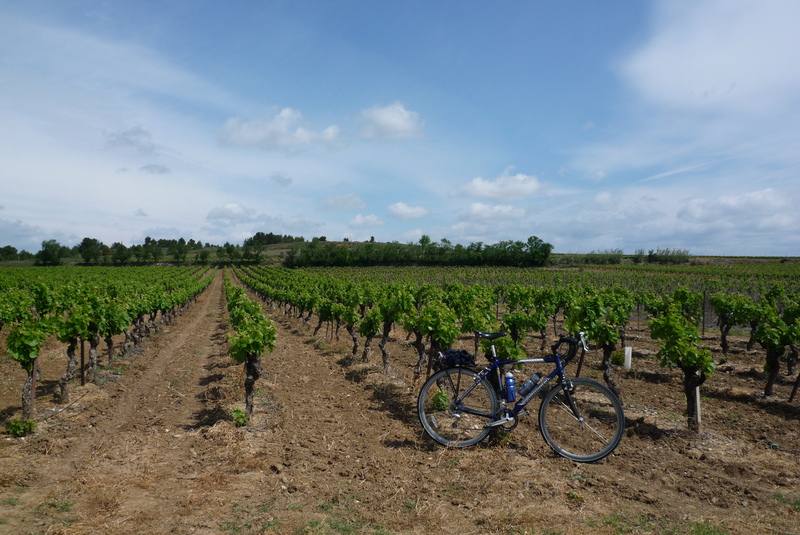 ), it is also the most famous cycling path in Languedoc. This is unfortunate for at least two reasons: although it is a really lovely place to cycle, after a few hours you start begging for a hill, some rapids…anything! I haven’t ridden the whole thing, but I can only imagine how excruciating it must be for the 4 or 5 days it takes to finish it. 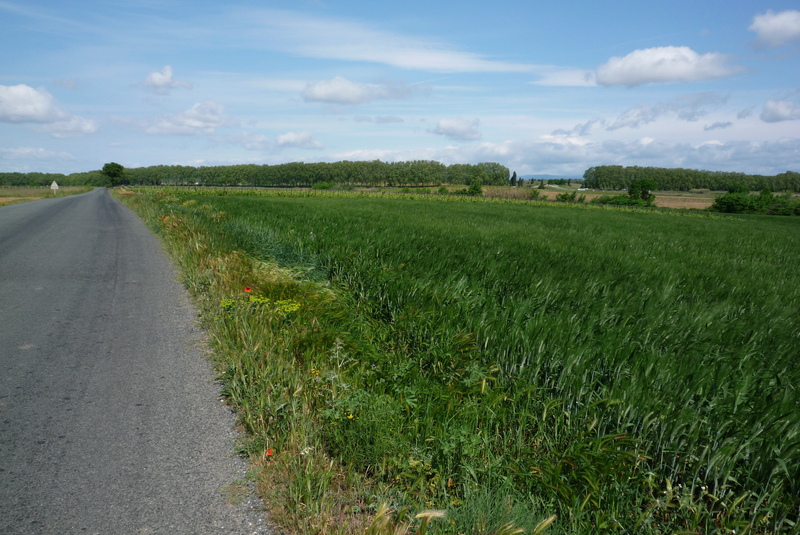 Next, it is only paved for any length near Toulouse. The rest of it is a variety of hard-packed earth, gravel and pavement, making it really only suitable for mountain bikes or maybe hybrids. 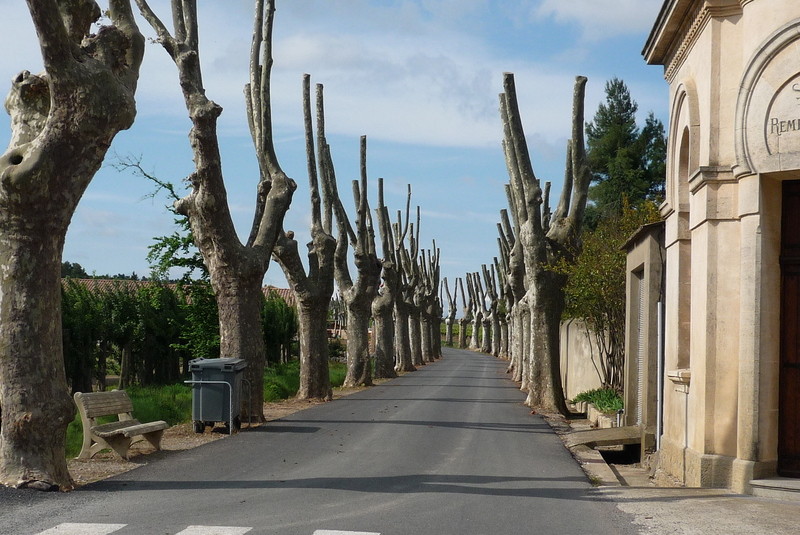 Now, if the departments in the region would like to get some serious tourist euros from this thing, I’d say pave it all…or at least get rid of the tree roots. There, I’ve had my say. 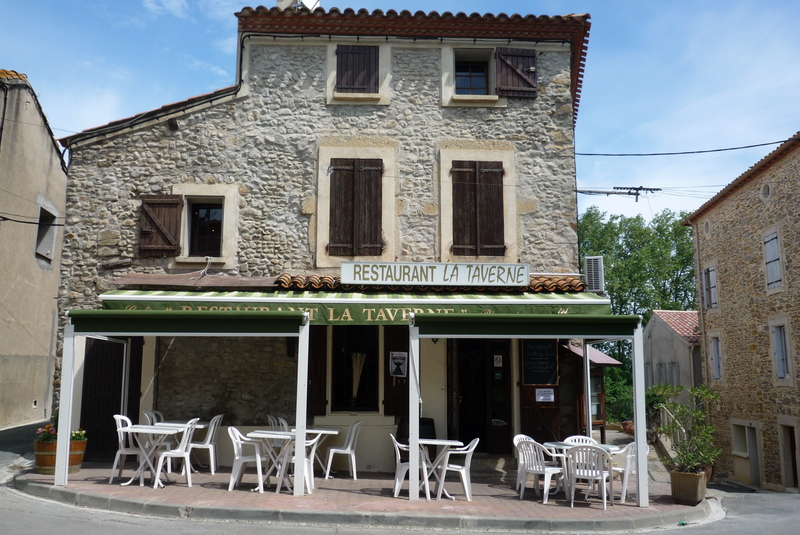 I stopped for lunch in the small town of Paraza, where I found out I was riding through the Minervois wine region – the little sister of Corbieres, if I can pretend I know what I’m talking about. 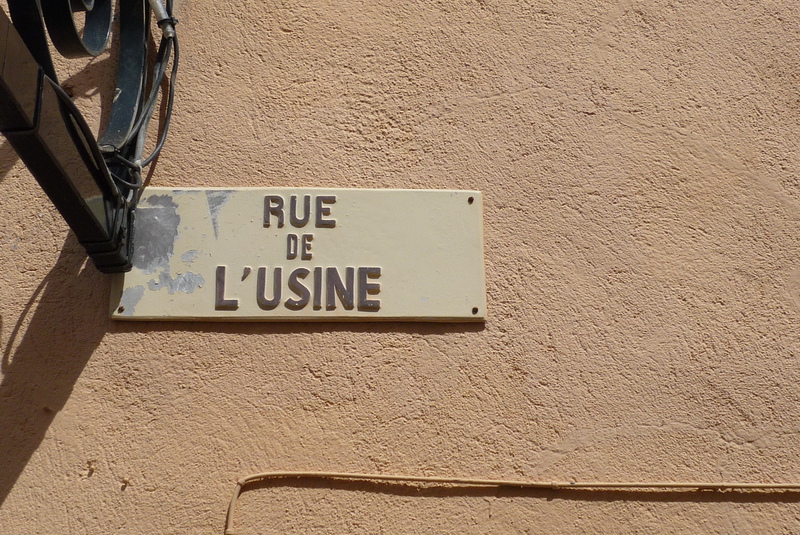 As a little aside, I was thinking today how descriptive the names of streets are in French villages. I dare you to find a town with a church that doesn’t have a street by this name. If you’re looking for a tourist sight, the street sign can often help you out. This is Windmill Street. Street signs also tell you what used to exist, like Factory Street. Many streets have long-forgotten occupations as their name. Here is Rafter Street (I made that up, since I couldn’t find an actual translation. These were guys that worked rafts that transported lumber down the rivers). And then there are some that just defy comprehension. It has something to do with milling, for sure. 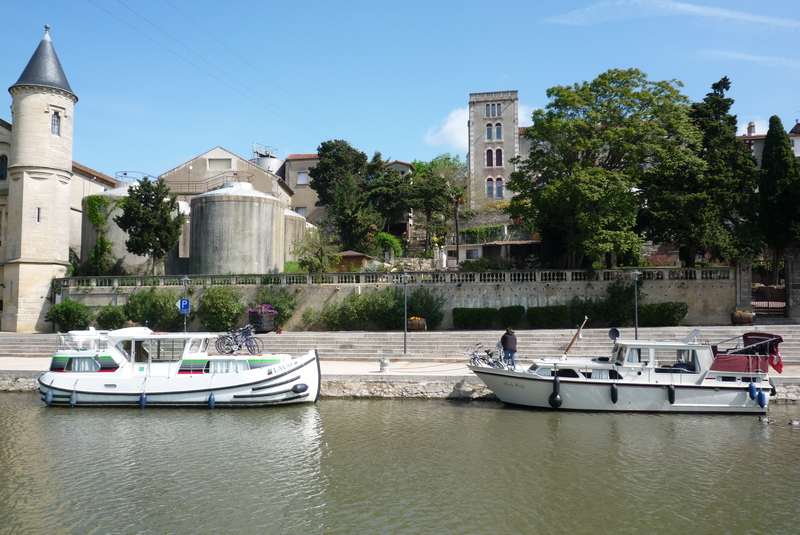 The Canal du Midi runs close to this place and I was back alongside it in no time. A few more shots of the canal. 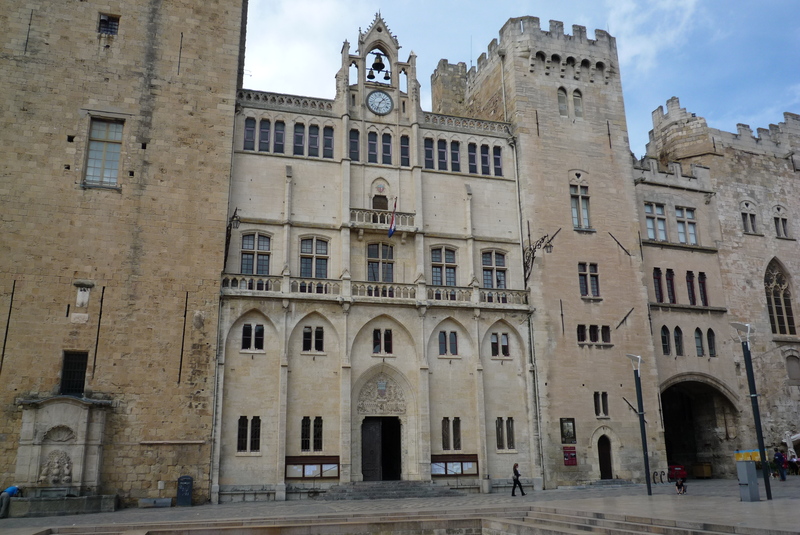 And then it was a quick, wind-assisted spin back to Narbonne, where I had enough time to run down to the main square, jam packed with an Archbishop’s palace, castle keep, cathedral and small stretch of Roman road. So, a pretty good day all in all. 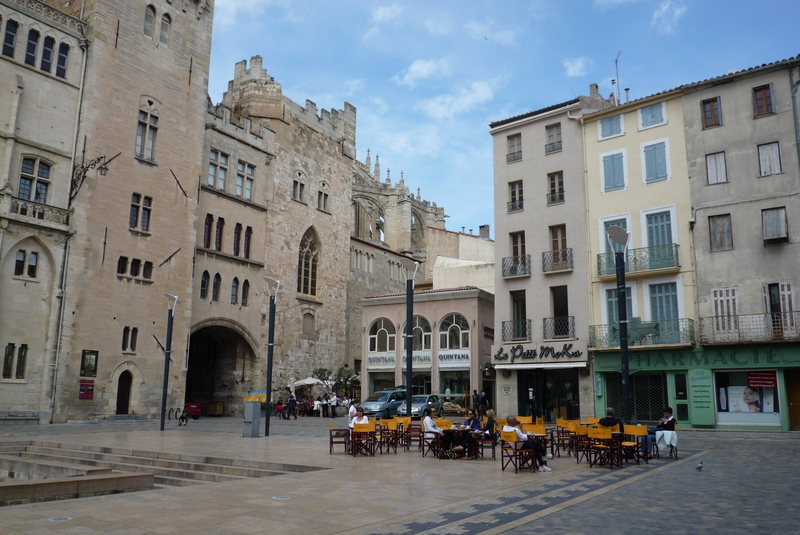 You’re windy as all hell, Narbonne (or north of you at least), but at least it only blows one way, and you’ve got some good places to hide from it and have a beer (I imagine). A bientôt. 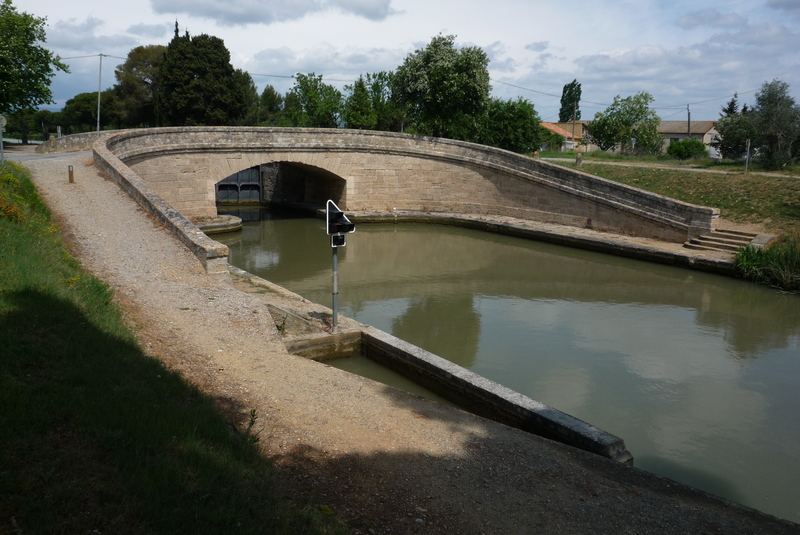 This entry was posted in Cycling and tagged canal du midi, minervois, narbonne, paraza. Bookmark the permalink. Please go cycling again soon – looking forward to the next report! Thanks for the comment and link, Stephanie. I was wondering why all the sites I got from my searches ended up in this region. Now I know. 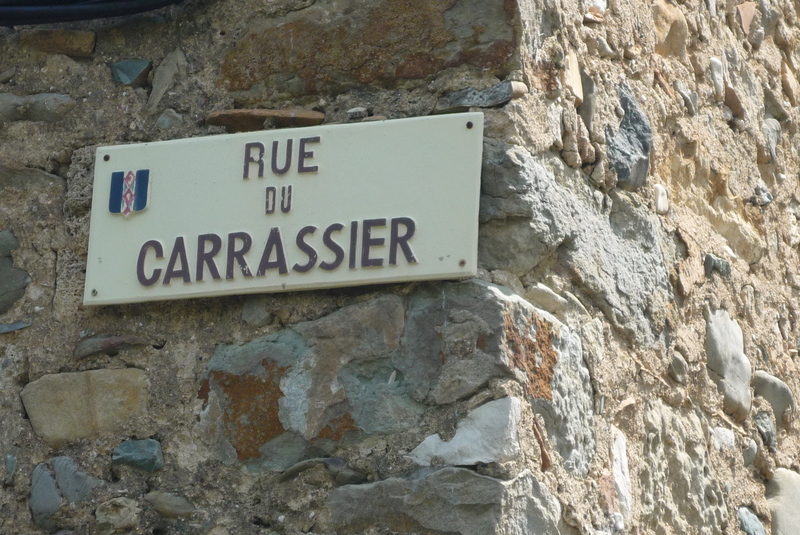 “Carasses” are rafts in Occitan, so presumably you won’t find this street name anywhere outside Languedoc. The profession might have started as long ago as the 13th century, and involved hauling lumber (and other things?) 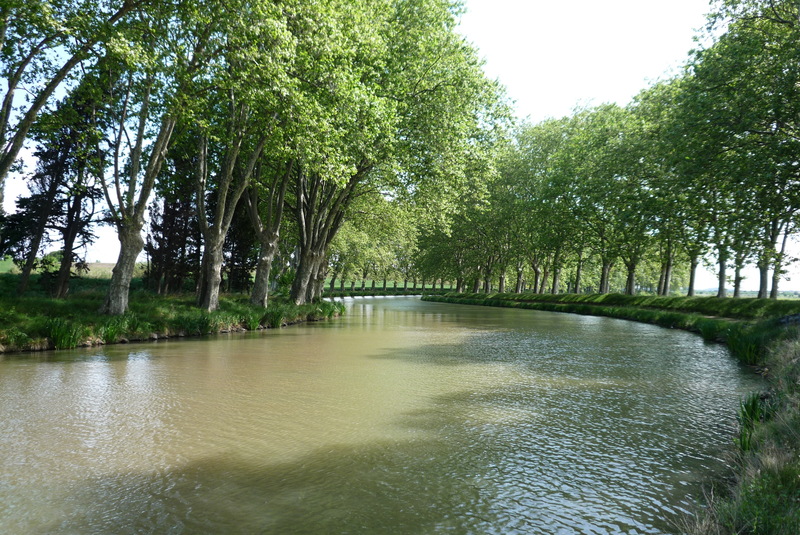 down the rivers to either the sea, or the Canal du Midi (after the 17th century). The profession died out in the 19th century, with the introduction of the train. 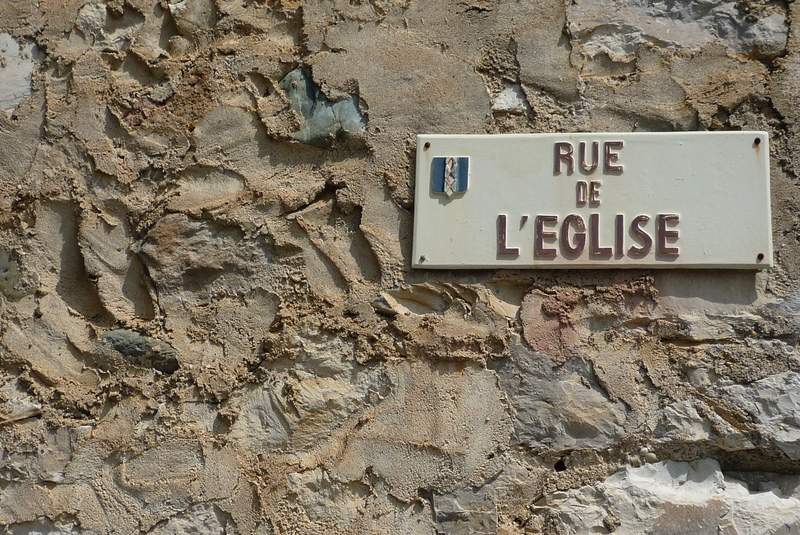 As I noticed wandering through St. Anne this Sunday, there are still loads of “used to be there” signs right here in town: rue de la Huile, rue de l’Amandier, rue Four des Flammes (I like that one!). 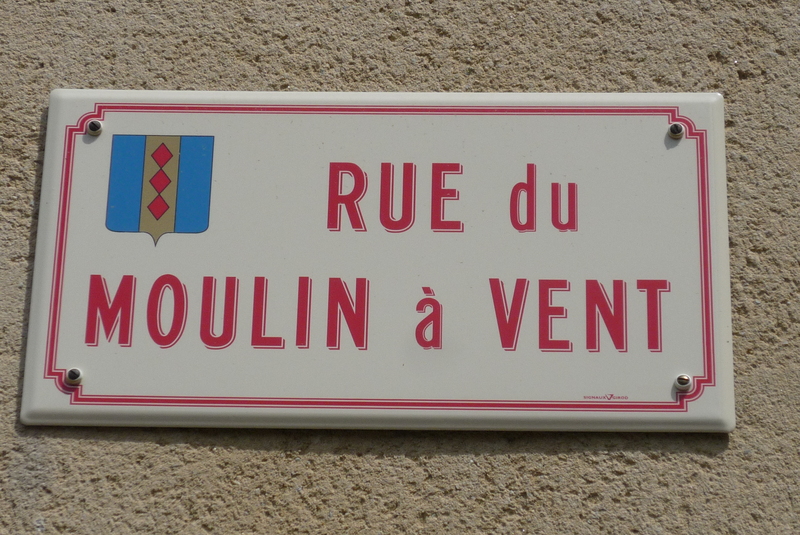 Now I wonder if the rue d’Aiguillerie is the street of the needle-manufacturers. 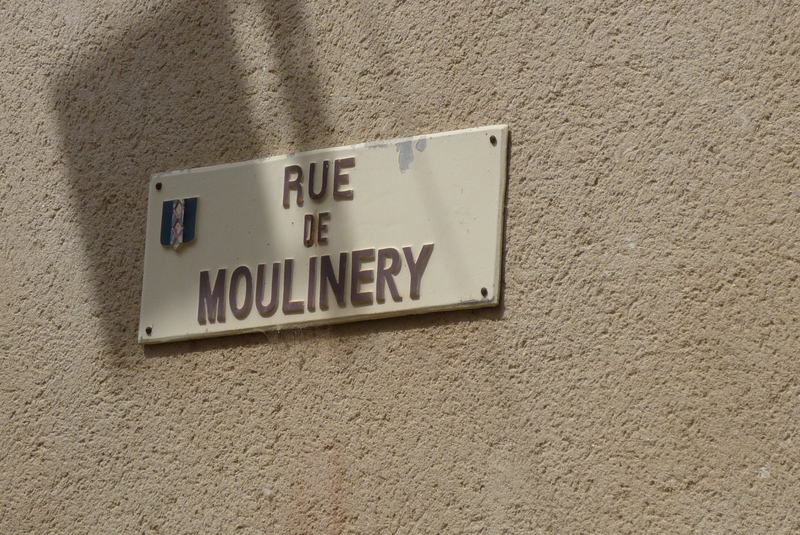 I actually got the idea for those pictures above from the names of streets in Montpellier. 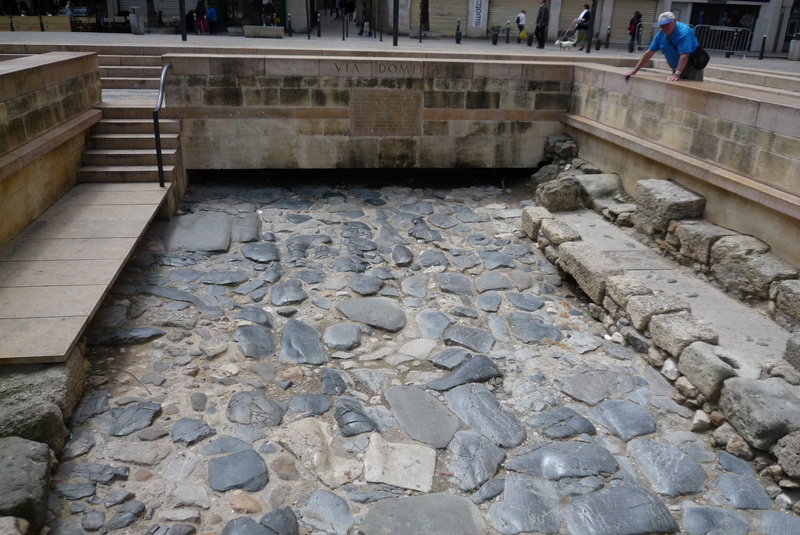 Have you seen Passage (I think) Ratte yet…?